This year, our “couple’s getaway” One Tank Trip was to the ever-active Niagara Falls, Ontario. While my husband and I have both been to the Falls various times growing up, our trips always seemed to be either passing through, or with our kids (usually to Great Wolf Lodge). This time around, thanks to Tourism Niagara, we were able to fully experience plenty of excitement this amazing city had to offer. The next day, our first stop was a 10 am appointment at the Healing Salt Caves for a 45 minute session, followed by a hand and foot detox. To be honest, we both had no idea what to expect when we arrived, which added to the anticipation. We were welcomed by a charming lady named Eva, who excitedly explained to us exactly what we were in for. The facility housed more than three tonnes of Polish rock salt which lined the walls of the dimly lit salt “cave”. 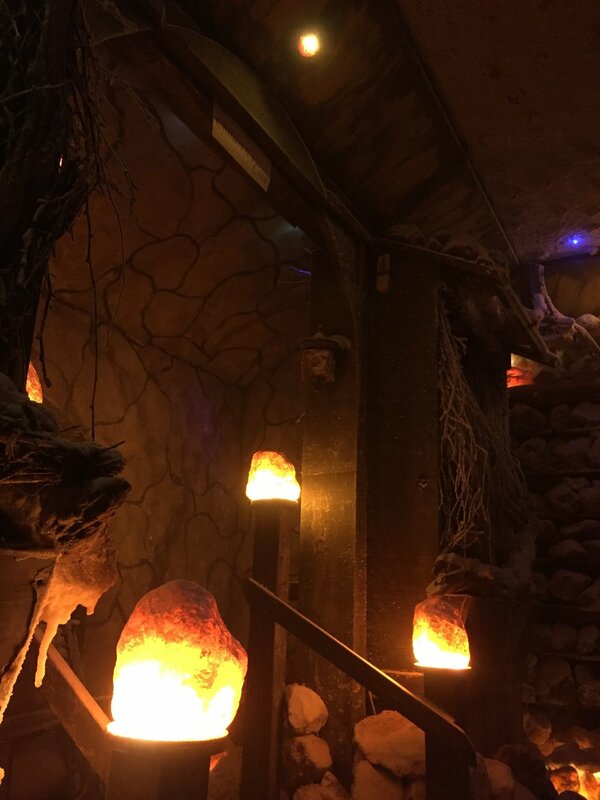 We put our feet up, listened to the sound of trickling water, and experienced our first session of Halotherapy -- also called salt therapy -- where you inhale tiny particles of salt into your lungs. It is known to aid in respiratory ailments, skin disorders and as an immunity booster. We left the room licking salt off our lips and feeling more relaxed than either of us had felt in months. Our next stop was at the Niagara Brewing Company for lunch and beer tasting. We were treated to a great spread of both food and beer, which included our own selection of eight tasters to get a real feel for what the only four year old Niagara Brewing Company had to offer. We toured the 74ft wide facility, which utilized its space to brew vertically. Interestingly, their beers are hand canned with no additives or preservatives. From a smooth dark porter to a crisp Ice Wine seasonal feature, there seemed to be enough variety to please any beer enthusiast -- or even somebody looking to understand and appreciate the wide range of flavour profiles beer can offer. Following that was a trip to Bird Kingdom -- the world’s largest free-flying indoor aviary. Although we know this facility would have absolutely thrilled our daughters, we really enjoyed as adults. We interacted directly with the birds, having our photos taken with a couple of beautiful large parrots, and being covered in a barrage of Rainbow Lorikeets as we fed them nectar. The 50,000 sq. ft. multi-level rainforest aviary is the home to more than 400 birds from nearly 80 species. We came face to face with birds we didn’t know even existed! 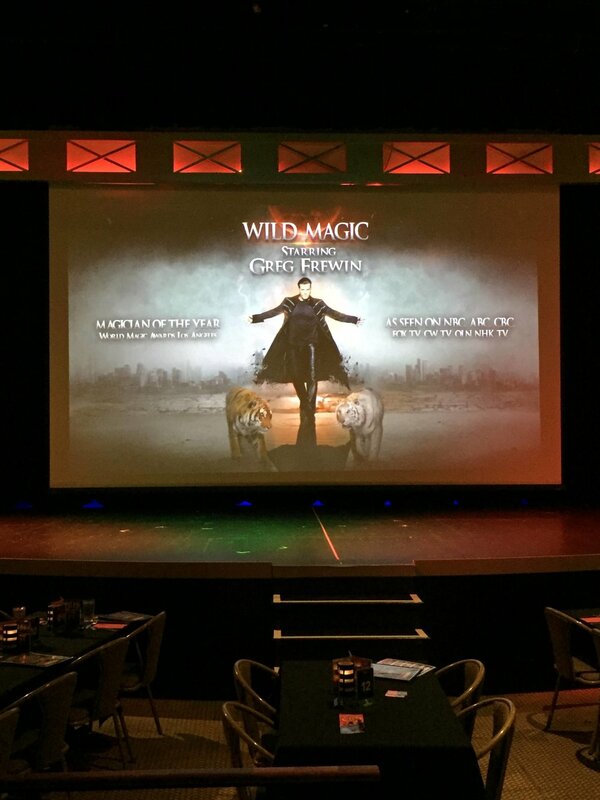 Our final experience of the day was to the Greg Frewin Theatre for dinner and the Wild Magic show, starring Greg Frewin. We were mesmerized by the theatrics, sleight of hand tricks and his beautiful tigers that appeared as if from thin air. Frewin is currently ranked as The International Grand Champion of Magic, having won every major award offered within the magic community. The show included humor and drama -- everything you hope to see in a magic show. Sunday morning in Niagara showed us a whole different level of magic -- from the inside of a helicopter as we circled over the falls. I’ve viewed this marvel of nature so many times before, but this experience gave me an entirely different appreciation and level of awe. 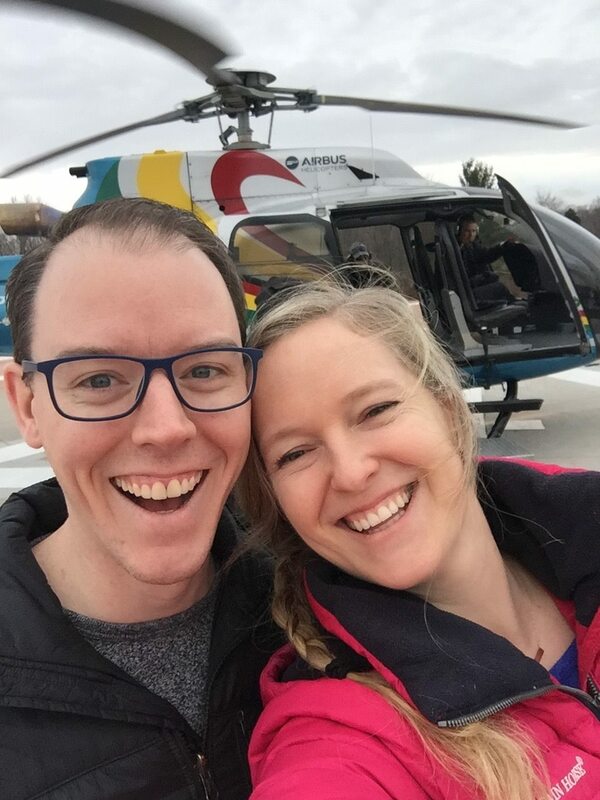 Niagara Helicopters Limited took us on a trip of a lifetime! We were able to see the magnificence of the falls from angles that can only be witnessed from that height. I can honestly say it is an absolute must-do at least once in your lifetime. The final stop on our wonderfully relaxing and eye opening trip was just outside of the city to Niagara-on-the-Lake for lunch and another beer tasting at Oast House Brewers. We were treated to Belgian style ales from the first farm house brewery in Canada. They use locally sourced food whenever possible and just opened the doors to their restaurant -- Brush Fire Smoke -- where we were blown away with the most unique flavours of bbq mixed with Asian fusion. We heard the history of the land -- where the war of 1812 was fought -- and were toured around the original barn from the 1800s. We cannot say enough good things about the experience we had and recommend without a doubt to stop by the big red barn if you’re ever driving through Niagara-on-the-Lake. We were sad to leave Niagara, but thankful for a short trip back to Mississauga. The next time you’re looking for a getaway, whether with your partner, children or even just solo, Niagara is only a tank away.